After three years and four versions, Samsung’s flagship Galaxy S range had become firmly established as the Android device that all other manufacturers had to beat. 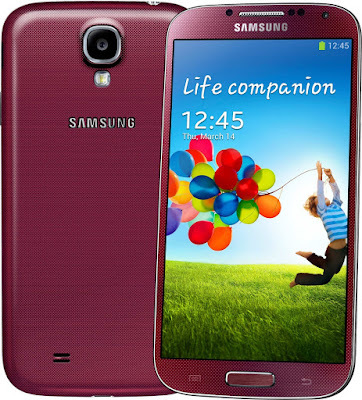 Launched in March 2013, the Samsung Galaxy S4 is perhaps as close as you can get to an archetypical Samsung smartphone. Launched in March 2013, the hardware was first class and was easily better than the rival iPhone 5 in every respect. The Galaxy S4 a 5” full HD display, 13 megapixel primary camera, quad or octa-core CPU with 2GB of RAM, expandable memory, 4G LTE support, wireless charging and a whole raft of sensors including a barometer and humidity sensor. Nothing else came close, and the iPhone 5 looked like it was a couple of generations behind. The operating system was Android 4.2 (Jelly Bean) out of the box, but Samsung did their usual thing of adding a whole bunch of their own software on top, not all of which was terribly useful. This “bloatware” was annoying to many customers at the time, and it is still annoying for Samsung customers five years later. So the hardware was good, the software bloat was bad… but there was an ugly side to the Galaxy S4 too. No, not its conservative slab-like design (also a feature of Samsung smartphones) but its apparent propensity for catching fire, made worse by apparent attempts to cover the problem up. These problems didn’t go away either, eventually leading to the catastrophic launch of the Galaxy Note 7 in 2016. We made a video when the Galaxy S4 launched exploring some more of its features and comparing it to the previous models, if you want a further trip down memory lane.